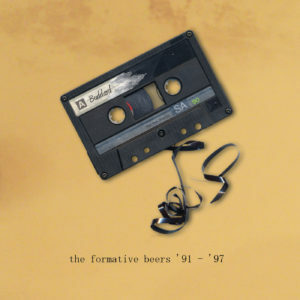 Buddard: "Wish you were beer"
Say hello to The Formative Beers ’91 – ’97, a compilation of 38 remastered Buddard demos from the good old days! The songs were all transferred from cassette tape, carefully restored and then digitally remastered. You’ll find the album over at www.buddard.com. There you can stream it and buy it in a number of different formats (MP3 320, WAV, FLAC, OGG, …) — Pay what you want, from 0 EUR and up! The album should also appear on Spotify within a couple of weeks. Or you can just grab the torrent (MP3 320, about 295 MB) if you’re so inclined. The album is of course released under Creative Commons Attribution-ShareAlike 3.0, some rights reserved. Also, be sure to find us on Facebook, Twitter and SoundCloud.